Novachild the artist was born 1998, and is the artist name of American Bruce Rich. He started out me exploring software-based synthesis and getting involved in music communities online. And Since then, he has released over 100 songs, evolved his aesthetic and punched up his studio. He is now recording other bands, producing remixes and performing visuals on multiple screens. This latest release, is a mixture of singles from 2010-2011 and also two new songs. The song Come Again is a remix of an older Novachild song that never saw the light of day….until now. The other new song Semra was written for his wife. There is a good mixture of sounds on this release, electronica, IDM, ambient. What I do like about Novachild is how he can change genres and keep it really interesting. 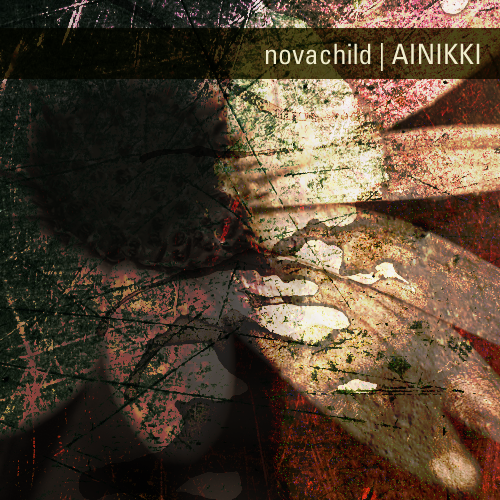 The name of the album and title track, Ainikki, is a loose, slightly distorted ambient piece named from a character from the Kalevala, Finnish folklore. She was briefly mentioned, the sister of Lemminkäinen, as a bit of an arrogant hero. She was a bit of a tattle tale. I only got to know about Novachild a few months ago and I have been impressed with the range of sounds and musical styles that he plays on his releases. And the good thing is, he isn’t going away anytime soon. In fact, as I write this, he is working on his next release. This entry was posted on February 28, 2012, 10:02 pm and is filed under Playlists. You can follow any responses to this entry through RSS 2.0. You can leave a response, or trackback from your own site.